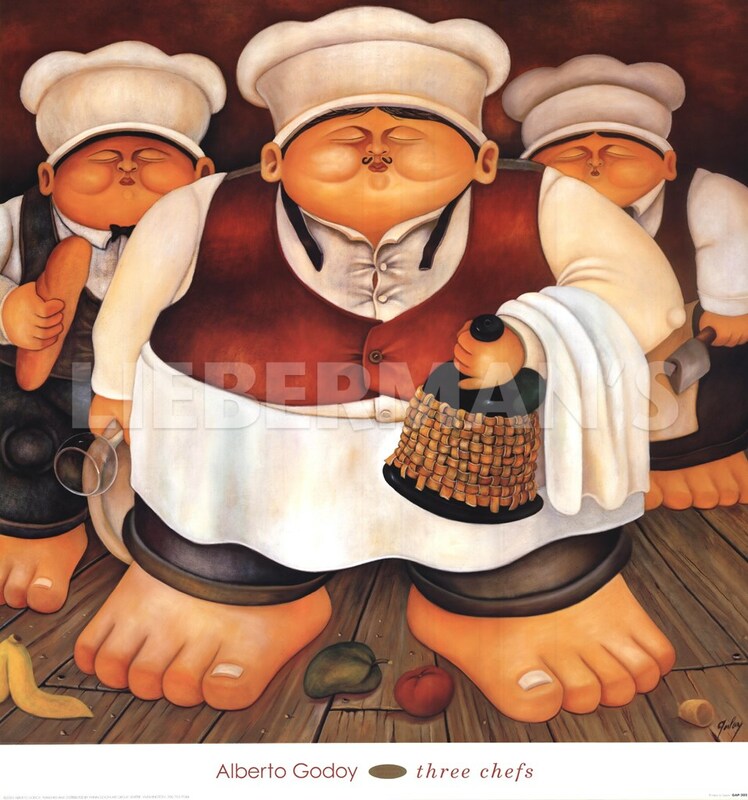 Three Chefs Fine-Art Print by Alberto Godoy at ChefDecor.com. Three chefs stand barefoot with wine and bread in hand, waiting for orders in this piece by Alberto Godoy. Paper Size: 26" x 28"